When it comes to marketing your business online, a hit and miss approach is not the best approach to obtaining and converting more customers. You need to have a total system in place that allows you to get people to listen to what you have to say and take measurable actions in your sales funnel. To start with, you need to know what your sales funnel should be and how it should be put together, so let’s begin with an overview of this. Finding prospective leads: This can be achieved by using Video sites like YouTube to create visual promotions for your products, Social Media sites like Facebook, Twitter, Google Plus and Pinterest. The idea is to create a relationship with people and guide them towards the next step of your funnel. 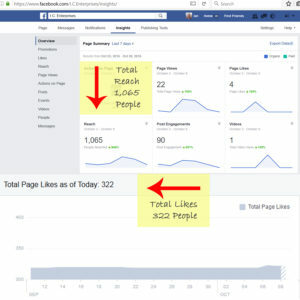 You can use resources like article directories, commenting on other websites/blogs, forums relating to your product/services and paid advertising resources to find more people to get into your funnel. Engagement: The biggest part of the Sales Funnel, and often the most overlooked and misunderstood, is building an email list of all your prospective leads. An email list allows you to talk with your lead one on one and get your message through without all the background noise of the internet at large. To get people onto a list for your business you need to have a sign-up form on your website and Facebook page and an incentive for them to join it. The incentive should be something of high quality and value to your customer that encourages them to give you their email address so you can communicate to them directly. 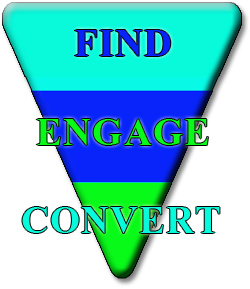 Conversion: This is the part where everything comes together for the Sales Funnel, converting people from leads into paying customers. This is achieved by using an Auto-responder system which sends out a prewritten series of emails that help and educate your leads with things related to their problems and your business. With this system you can build a relationship with subscribers and let them know what is happening in your industry (Authority), what you are doing to help other customers (Trust) and more about your products and services (Sales). This is an overall system which has been proven to be very effective to increase your business customer base and communicate effectively with them regularly. Having this system in place will put you ahead of your competition as it is very much under-utilised by most businesses. Want more information on how this system can work for your business? Contact I.C. Enterprises today to find out more.